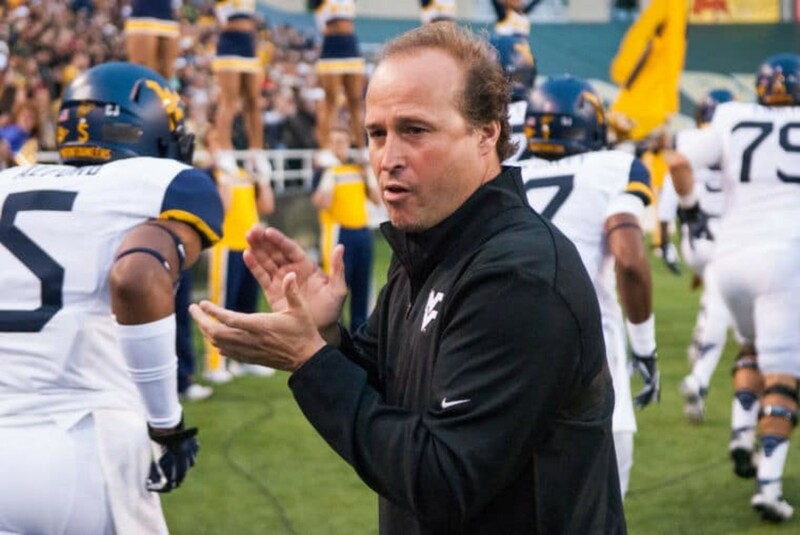 Dana Holgorsen has certainly lived up to his mad scientist reputation this season, pushing West Virginia to sixth nationally in both passing and total offense this season as the Mountaineers are off to a 5-2 start after busting then-No. 4 Baylor for 456 yards and 33 first downs in a 41-27 upset victory. Holgo joined NFL.com’s College Football 24/7 Podcast this week and was asked where he got his inspiration for some of his wackier ideas. Many of Holgorsen’s craziest ideas ended up on the cutting room floor, though. As Holgorsen advances, though, he reins himself in closer to the center of offensive convention. The Mountaineers ran the ball 50 times and threw it 35 times in the Baylor win. For the year, West Virginia has run the ball 317 times compared to 295 passes. That 2011 Oklahoma State team Holgorsen referenced earlier called 595 passes compared to 392 runs. Leach’s current Washington State team, by the way, has called an astounding 440 passes against 133 rusn. To listen to the full thing, click here. Holgo jumps on at about the 26-minute mark, and Mark Helfrich hops on after that.